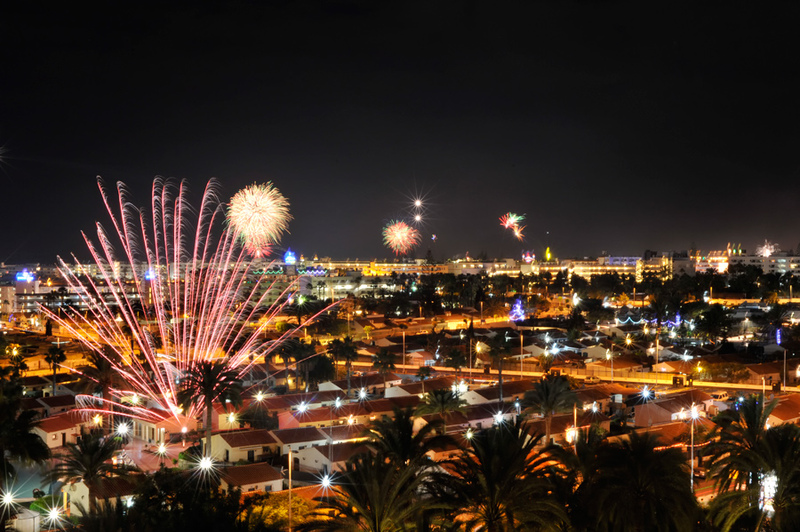 We were celebrating the New Year at Playa del Inglés, Gran Canaria. It was awesome to watch magnificent fireworks launched all around the village from the 8th floor in our hotel. I took this photo with 20s exposure by adding the camera to the railing. Lucky 2013 to all of you! This entry was posted in Risto's photos and tagged fireworks, new year, Playa del Ingles.